Alright, to be honest, there is not a lot to be said here, but there are a few things I will go over. You don’t want a hard drive that takes a bunch of cables and uses a bunch of your inputs. That is (ironically) a waste of space. That is easily avoided by these hard drives though, as they use at most 1 cable. Once again, you don’t want a hard drive that takes years to format, that is a waste of time. The Fantom Drive does take longer to format and hook up, but the instructions are very clear and easy to follow. The other two you simply plug in and follow the on screen instructions. Make sure that you have enough space, these are relatively small, and you could set them on top of you console, but I need to address this regardless. After that extremely short intro, here are the best hard drives for PS4. I would recommend this to anyone who is willing to take the extra time to install it. It is slightly more expensive than the others, and if that does not bother you, then go for it. The 8 giga-bite flash drive is a bonus (at least for me) and you can reformat the internal hard drive. You do unfortunately have to reinstall each disc onto this hard drive if you want to transfer them. Like I said if you have a lot of time, this is a great choice. This is a more direct… plug in I guess you could say. All you have to do is plug this thing in, and follow the on screen instructions. It takes about 5 minutes to set up and get formatted. It is also a much smaller hard drive than the other two meaning it would work better if you have extremely limited space. Once again it is time consuming to transfer games, but it is worth it because of the ease of setting up. I would recommend this to pretty much anyone, as long as you don’t mind a slow transfer of games. It is very simple to format, you just have to follow the on screen instructions and takes 5 minutes. Pretty much everyone has that kind of time. This hard drive works better than the other two with other drives also. If you really wanted to, you could hook it up to an Xbox or a PC. I think that this is the best hard drive for PS4. The set-up takes less than 3 minutes to do, you literally just hit a couple buttons and it is formatted. Unfortunately the instructions are unclear in the box. Turn off your system, plug in the hard drive, turn on your system and follow the short formatting prompts. The game transfer takes less time than the other devices which is another huge plus. I would recommend this to anyone. I just think that it shares all of the qualities with the other hard drives, but it also amps some of them up. It kind of annoys me that there isn’t much to be said here, but it can pretty much be summed up in that one sentence, it is simply better than the others in my opinion. Once again going to be a short paragraph, but there aren’t many things to consider when choosing a hard drive. It is really just about being picky. 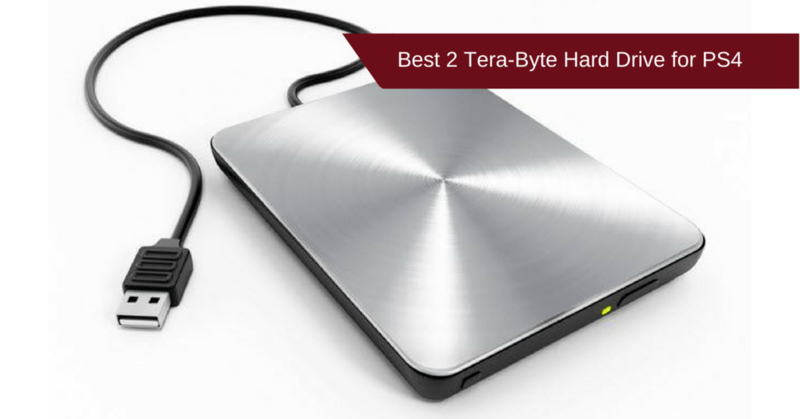 There aren’t tons of brands out there, so I just look fo one that has all of the qualities of its competitors, that is why I think one of the best 2 tera-bite hard drives for PS4 is the Seagate 2tb Hard Drive for PS4.